The quality of a tutor more than anything determines the success of any student and tutor relationship. In the past, only business executives or those well off were the only ones who could afford the best tutors for their children. But with the technology revolution that has been changed because these same tutors are available to work with any student at affordable prices. One-to-one in developed countries isn't used as more often as in developing countries. Online tutoring isn't hindered by the geographical locations of both student and teacher. And neither, is time. There's no more dealing with restrictions when trying to find a tutor who is a local and proficient in the subject you need assistance in, meet according to your schedule. Once you remove the time zones, commuting and geographical locations finding the right tutor becomes easier. Rather than hoping you'll get lucky enough to find a single tutor who meets your criteria and can work with you. With online tutors, you have a variety of selections from where you can choose from. Also, the broader selection also affords you the benefit of working with multiple tutors who specialise in different areas. Being able to discriminate from a vast field of tutor's means that they have to rely on merit to win your attention, and you don't have to settle for seconds. It offers valuable services when tutors are competing, rather than the other way. It allows for one to meet up with their tutor at the luxury of their house/dorms, without incurring any expenses of travel and time. Convenience assumes that you have a choice, but what if you don't have any options for local tutoring? For some, making the decision to seek to tutor online may mean the difference between getting help and not. People who haven't encountered with technology fear that it will be a hindrance, but in many ways, it's an advantage. The sessions can be recorded and refend in future, and a good tutor will use technology for illustrative purposes. Not mentioning available resources that wouldn't be there if you were in a classroom i.e. Wikipedia. Due to enhancements in technology, online tutoring is more efficacious in transferring their specific information to the learners. You don't have to attend regular tutoring classes and have noted. With the help of live conversations with professionals on different subjects allow learners to obtain a strong understanding of the subject. Online tutoring is less expensive than choosing a home tutoring. Home tutors will guide you only for a couple of hours, but they are unable to give the necessary study components. On the other hand, an online tutor can give a bulk of information on any subject. You can get a wide range of questions for all subjects for exercise. Furthermore, you can access online tutoring for 24/7. As compare to home tutoring, online tutoring gives you the flexible study schedules as you can study as per your comfort of time. You can have e-books and videos related to your subject at nominal cost or no cost. There are no issues about missing the important sessions also as the immense knowledge store is always a click away. Online tutoring can help you advance in school and subjects. If you want to accelerate your child's learning during school, one-on-one tutoring may be for you. Tutoring can also help you with advancement while school is not in session. For example, if placement tests are taken after the winter recess you can sign your child up for online tutoring during his or her winter break, so they place higher when they return to school. That can also apply before the school year begins (i.e. have you child do one-on-one online tutoring before the school year begins) to place higher on those beginning of the school year placement tests. Online tutoring can help in current problems and struggles your child is having in school. Homework is a good place to start. Your homework is given to solidify and further concepts discussed in class. 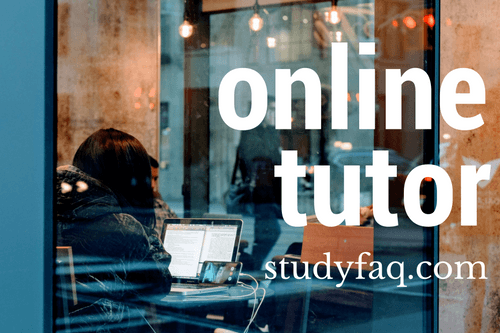 The online tutor can help you digest and clarify any questions or problems you have while the topic is still fresh in their mind.